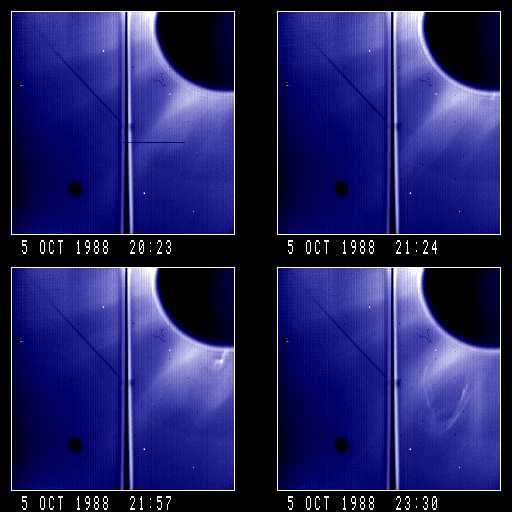 A sequence of images recorded by the SMM Coronagraph showing a coronal mass ejection and eruptive prominence ejected over the southeast limb of the sun. Solar north points toward the upper left corner of each frame. Loop/cavity with highly structured, inner (prominence) loop/cavity superposed on streamer. Motion in streamer ahead of loop front. Event moves non-radically (equatorward). Deflections in northern streamer.